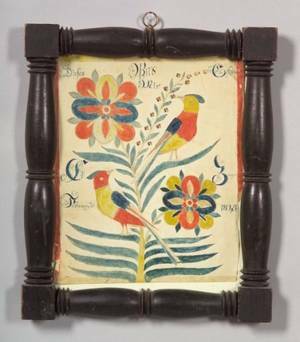 JAPANESE WOOD NETSUKE 19TH C.
Watercolor fraktur, early 20th c. , after Eyer, 8" x 6 1/4", together with another reproduction, 5 1/2" x 9". 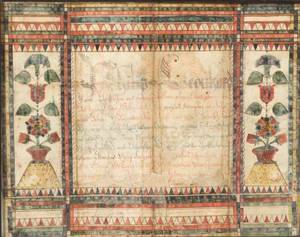 Pair of Southeastern Pennsylvania watercolor fraktur bookmarks, early 19th c.
Southeastern Pennsylvania watercolor fraktur bookplate, 19th c.
Pennsylvania Dutch School 19th Century Watercolor Fraktur. 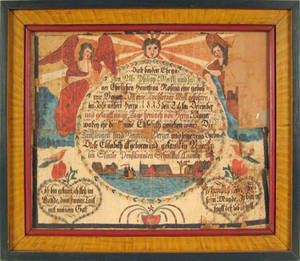 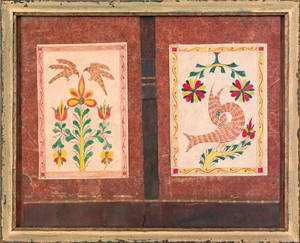 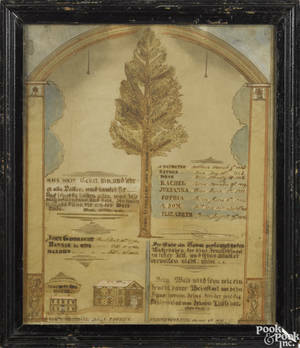 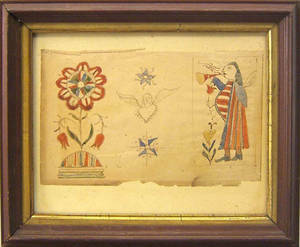 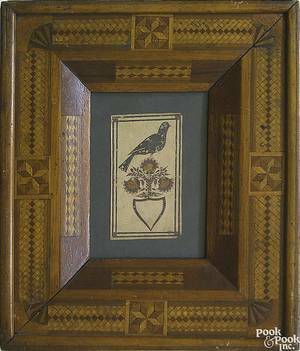 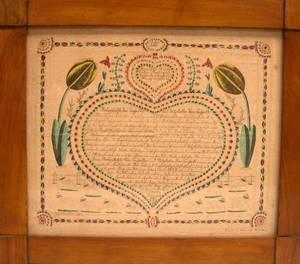 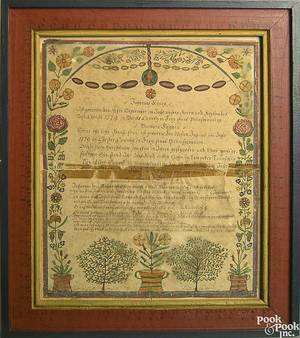 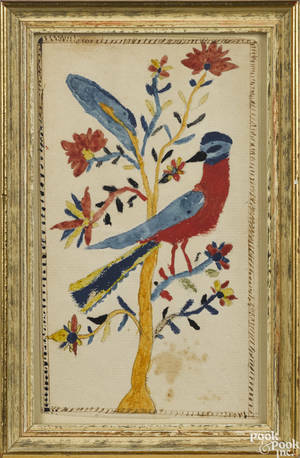 Pennsylvania watercolor fraktur, 19th c.
Montgomery County, Pennsylvania, Schwenkfelder ink and watercolor fraktur bookplate, early/mid 19th c.